This Saturday at 11am, take your kids to a FREE Story Time at Barnes and Noble Bookstore! 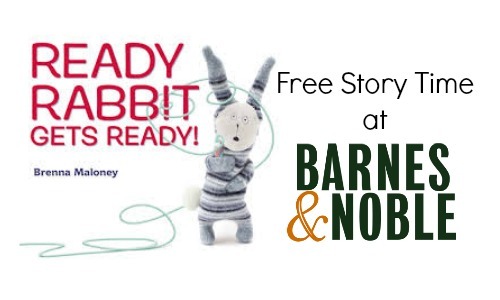 Barnes and Noble is featuring the story of Ready Rabbit Gets Ready and it will so much fun! Story Time at Barnes and Noble is completely FREE and there will fun activities for the kids to do as well. So stop by and see if Rabbit can make it to school on time. To find out where Barnes and Noble is located near you, just enter your city, state, or zip code on the event page.